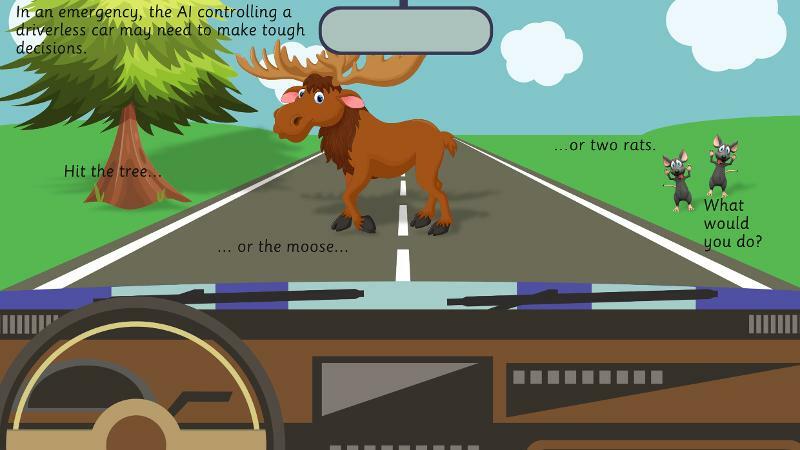 Advances in artificial intelligence are changing our world, but explaining the complicated concepts and science behind AI, particularly to a young audience, is no simple task. 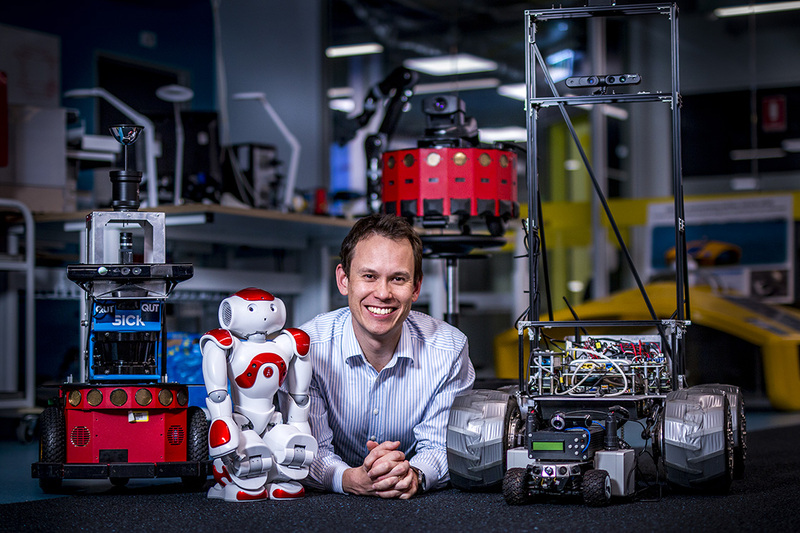 QUT Professor of Robotics Michael Milford has tackled the challenge with The Complete Guide to Artificial Intelligence for Kids, his illustrated guide to introduce primary school-aged children – and maybe their parents and grandparents too – to the transformative technology that is AI. Professor Milford, from QUT’s Science and Engineering Faculty, has drawn on his extensive experience as a teacher and researcher in robotics, autonomous vehicles and brain-based technology, and from speaking regularly about AI at conferences, workshops, schools and events such as World Science Festival Brisbane. “The demand for information on and insights into AI is incredible,” he said. Professor Milford also found some special inspiration for the project at home. “My five-year-old son kept asking me what I did at work,” he said. “So I’ve been explaining robotics and AI to him. All the key concepts, like how AI learns, how it feeds on data, and what good and bad effects it could have on society. “One of the keys to making it accessible to kids was to simplify complex concepts without removing the core meaning. 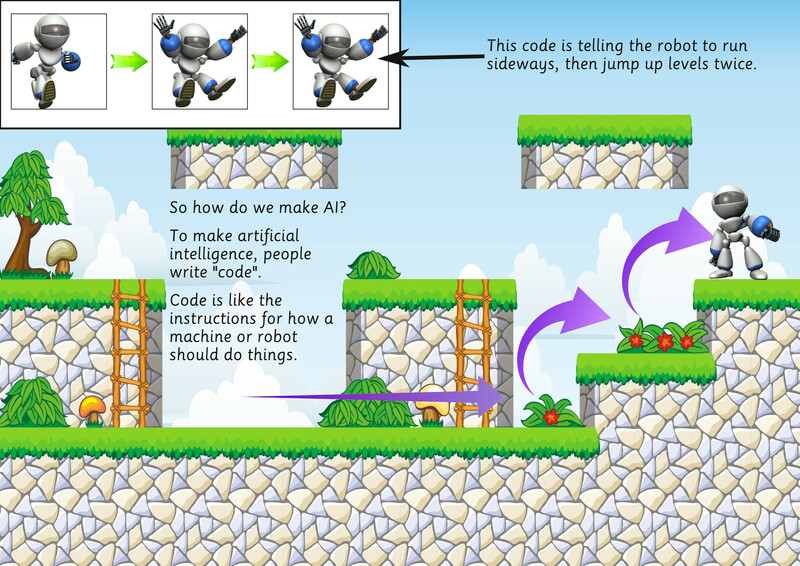 An example page from the AI guide. With this project Professor Milford is building on his previous work to boost awareness of STEM (science, technology, engineering, and mathematics). Images for media available to download here.